Blizzard threw a curve ball at PAX East in Boston this weekend by announcing Heathstone, a mobile-friendly collectible card game based on the popular Warcraft franchise. While there appears to be a fair bit of reaction ranging from disappointed indifference to outright rage that Blizzard would divert resources away from big-name titles, I think this criticism is unfounded given Blizzard’s tendency over the years of taking popular genres and polishing them. And from what we’ve seen so far, and from having just spent dozens of hours traveling to and from New Zealand, I can safely say Hearthstone would have been installed on my tablet if it were an option. Don’t get me wrong. I don’t expect Hearthstone to become my game of choice, but I think that’s part of the point: when can anyone say they were really blown away by a mobile game? Mobile games are as much a necessity in this day and age as traveling with a snack in your bag. It’s not that you necessarily want to eat the snack over actually getting a meal, but from time to time it’s necessary and expedient to do so. It makes sense that Blizzard would prefer people choose their version of the gaming meal-replacement bar over others. And just as I prefer Cliff bars over Power Bars for my travel snacks, I expect I’ll prefer Hearthstone over many of the other free-to-play games on the market. 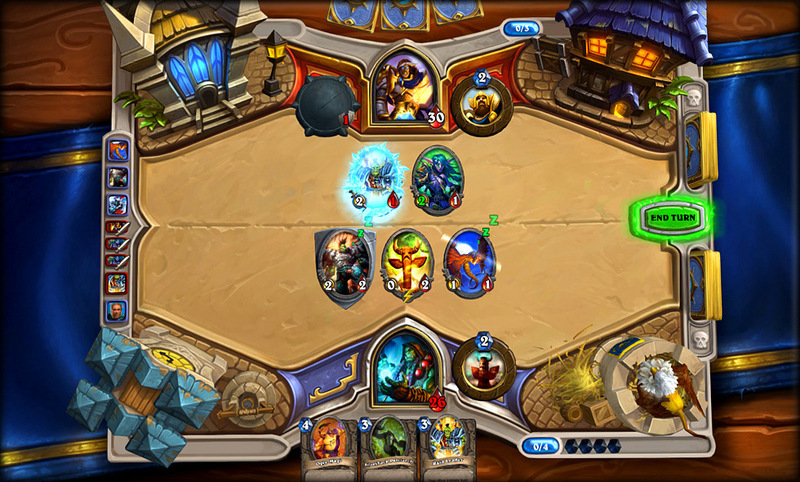 The lack of information about an Android release for Hearthstone does surprise me, though. The Android user base continues to grow at pretty impressive rates. While it’s certainly more challenging and resource intensive to port a game like this to Android given the variability of devices and versions, I would have expected at least some projected timeline for those of us not on board the Apple train given Blizzard’s size. I’m interested in Hearthstone, but not enough to play it on PC or to go out and buy an iPad. I doubt I’m the only one in this boat and hopefully someone at Blizzard will figure that out sooner rather than later. For those who want to know more about the game, MMO-Champion has a great roll-up on what’s known at this time. Last week, Blizzard issued a massive release of new information about Mists of Pandaria, the next expansion pack for World of Warcraft. 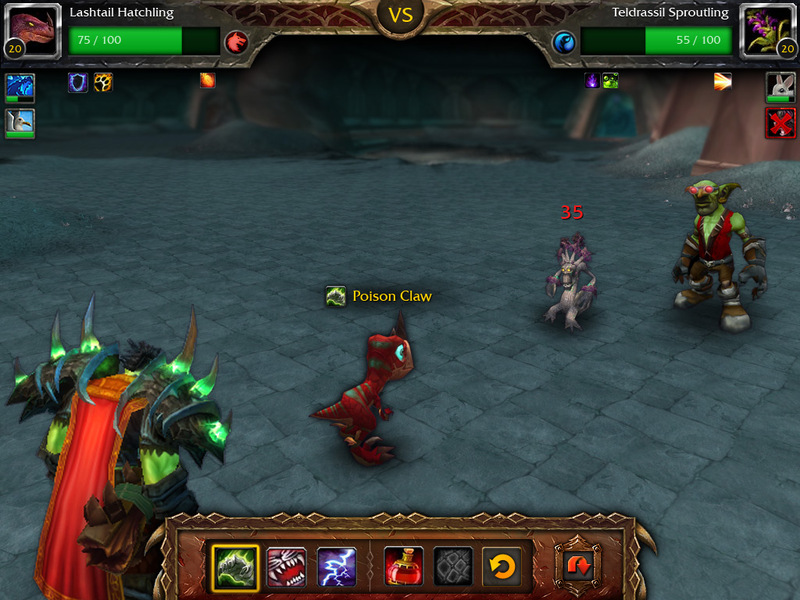 The information confirmed that the expansion will include a Pokemon-style mini-pet battle system announced at last year’s Blizzcon. 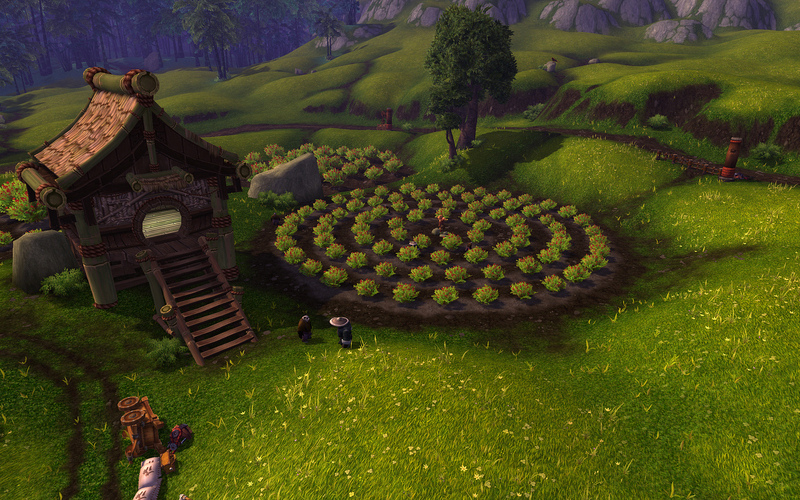 It also announced a new in-game faction that will allow players to take care of their own farm, reminiscent of the hit Facebook game Farmville. While these additions are only a fragment of the new content being offered, the two games within the larger game seem to signal that Blizzard may be setting World of Warcraft up to evolve to a more immersive content delivery platform where players can tailor the kind of game experience they want while still experiencing the Warcraft universe. Massively-multiplayer persistent worlds inherently appeal to many gamers for their ability to preserve a player’s time invested playing a game. Playing WoW’s in-game version of Pokemon or Farmville will offer players experiencing burnout entirely different game experiences within the persistent world without having to switch to a new game or platform. Perhaps more importantly, players who never were into crawling dungeons or fighting other players in arenas now have a reason to try and perhaps stick with the franchise. Blizzard has always had a strong track record of taking established game paradigms and expanding them in new ways, so their incorporation of highly successful game that appeal to a variety of audiences only makes sense as they attempt to make World of Warcraft more applicable to an increasingly diverse gaming audience. Even more interesting, perhaps, is the fact that these alternative games within the larger game seem ripe for adaptation into mobile platforms. Blizzard recently expressed interest in eventually offering a way to experience the game via the iPhone and other mobile platforms. It will probably be some time before players can experience the entire game on a mobile platform, but Blizzard already offers ways to access parts of the game experience via mobile apps to chat with players in game and conduct business on the in-game auction house. It would not surprise me if we saw mobile apps fairly soon after the expansion allowing players to engage in the pet battle system or managing their farm while on the go as well. These new alternate games not only diversify what World of Warcraft players experience, but also potentially how they experience it, likely setting the setting the bar for future MMOs. World of Warcraft may be getting up there in age, but these developments make me confident that Blizzard has a few more tricks to show us and that gets me even more excited to learn what the company has in store for Titan. In the meantime, I’ll just have to wait like the rest of the annual pass holders out their for their turn at the Mists of Pandaria beta.